Dressing: One of the basic, but important factors that make everyone watches you. You may be dusky, medium, or fair in colour but the dresses may be saree or Salwar Kameez, Jean with T-shirt makes more sense. The colour, design, pattern, fabric, and draping style are the few key factors to make every female better to best. Let us understand different shapes and dresses to suit us. Most of the girls like this shape but God have given to few only. The size of bust and hips are same measurements with thin waist shaped body is called Hourglass shaped girls. Overall 6 to 8 % of the women have Hourglass shape body and consistently maintaining is very difficult task. The Sarees made of chiffon, crepe, georgette, and handloom cotton will suit very much for the curvaceous body shape. The simple embroidery sarees with well-fitted blouse will look elegant. The floor length Anarkali with tight fit waist or short kurta with leggings or slim fit Chudidar keeps much attracted by everyone. The smaller or modest upper part of the body with wider hips like a Pear fruit shaped, called Pear shape girls. 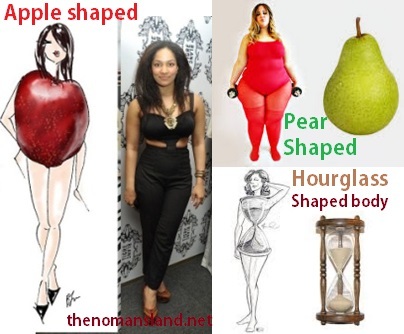 This pear shaped girls need to hide their flaws and to sharpen their visual appealing shapes. They get more attention towards the hip to bust. The A- Line floor length Anarkali Kurtha with heavily designed or embroidery work design attracts more attention to the upper body and submerges the wider hip or bottom line. The sarees made of Soft silks, georgette, and chiffon, which can balance the lower part, and upper part of the pear shaped woman. The Sarees with bright and bold, with heavy border and small prints, keeps your cheers. 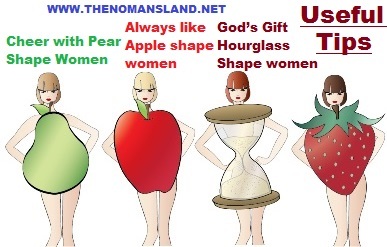 The woman with slender arms and legs with bust and stomach heavier like an apple called Apple shape woman. Their best assets are slim legs and arms that they need to exploit. The silk sarees are the best choice with long arms blouse keeps attracted by everyone. A mild artwork or embroidery makes them watching. A waist length Anarkali with wider hemline dress covers the heavier bust and stomach. The decent embroidery work on shoulders and around the neck and arms gives a violent look. A wide bordered saree with contrast long sleeves blouse makes everyone wait and watch. Plump Woman or Fatty woman: they should prefer lightweight sarees like chiffon with a dark colour body and light colour border. This keeps you slimmer and smarter. Choose heavy silk sarees with bold and bigger artwork or embroidery with sleeveless blouses make them slimmer and sparkling. • Avoid buying correct size Salwar or Kurthi, after washing it may shrink, and expose your body curves unpleasant manner. A little loose fit always makes comfortable. • During summer, avoid wearing heavily embroidered Salwar Kameez, which makes you difficult. The airy and lightweight dresses make very comfortable. • Accessories like earrings, bangles, and neck bands are more important and matching with the dress you are wearing keeps you glamorous. The dresses and accessories make every woman to complete woman. Do not be one among the crowd, be one out of the crowd. A good sense of dressing brings you more respect. (C)The No Man's Land. Powered by Blogger.